Misleading title. Sorry. There is no sudden progress to report on the garden front or on the farm house front. 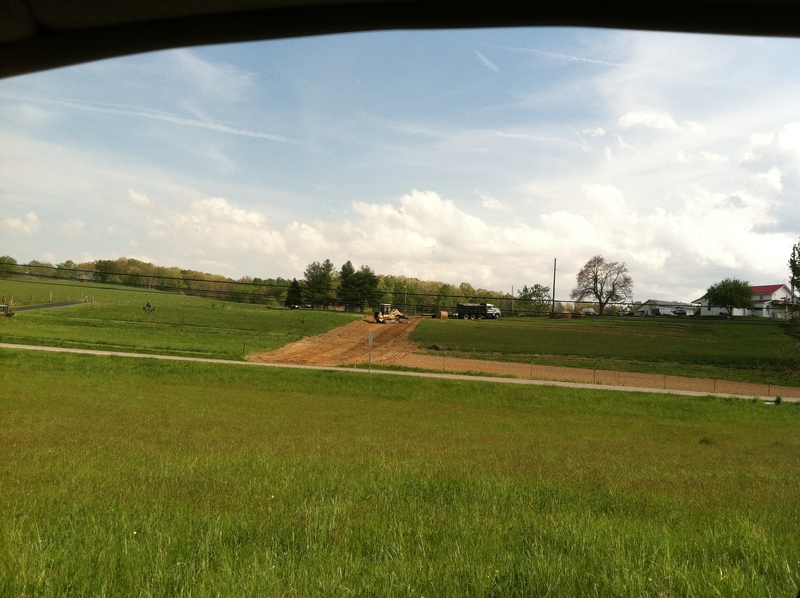 But there is some sudden progress on the overall farm front. 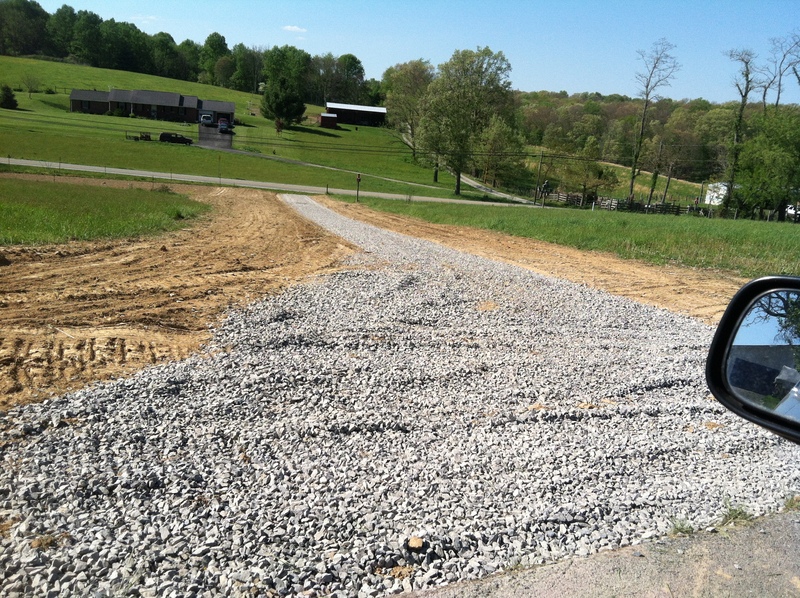 Our driveway is being installed. What? Not exciting? Well, not for many, but for us it is a BIG deal. For one thing, it allows us to have an identity. No longer do we have to say “drive up our neighbor’s drive then veer right.” No. Soon, we will be able to say “go passed our neighbor’s drive and look for the PTHF sign and come on up!” An identity. Not an imposition to our generous neighbors. Plus, it will allow us to put up a farm sign. AND it gets us one step closer to having a farm stand. THAT is fun. So, yep, driveways are exciting. Why is it sudden progress? Well, I didn’t know Leroy was coming today, but I sure am glad he showed up and got to it! 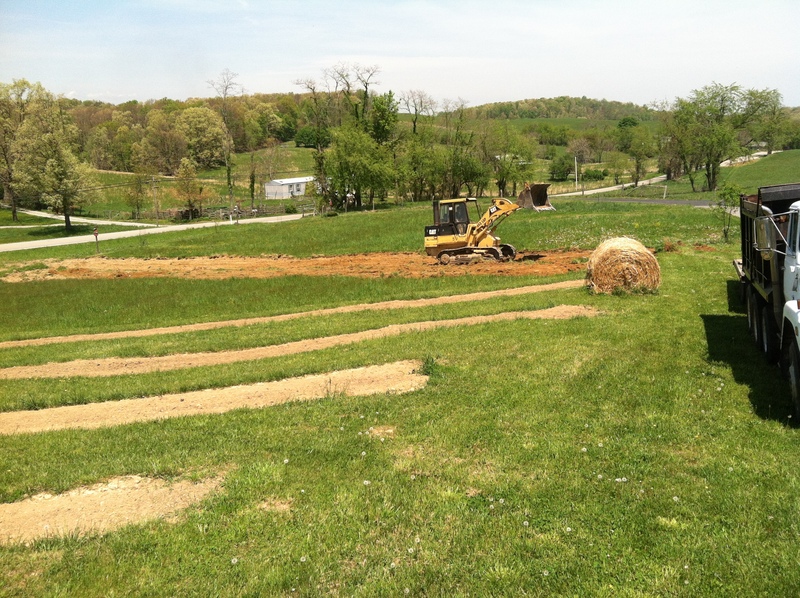 Phase one – road to our road is complete. Next phase is the culvert part. That will be a little down the road while we acquire our permit and other sundries. Stay tuned.